Enjoying the local food and cuisine of your host is a must do for every visitor or intending visitor, every country, state or city is known for one particular food or the other. The Igbo people of Nigeria are known for numerous traditional food that are exclusively theirs and most of these food has its origin and are best known with the people of Enugu. 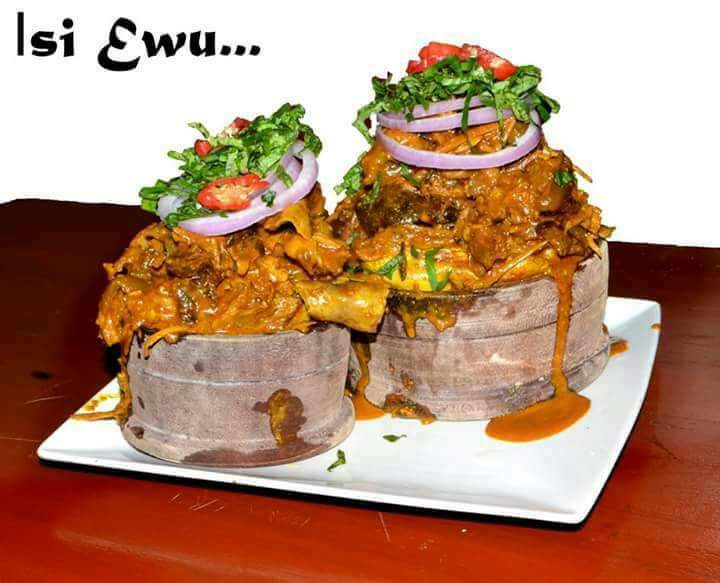 Enugu no doubt is the home of cuisine in Nigeria and Igbo land in particular. For traveler and tourists who intend to visit Enugu, i will be sharing with you all in this second of my series Best of Enugu, “top seven most popular Enugu food”. without tasting these food, your visit to Enugu is incomplete, in fact; you have not visited Enugu at all if you fail to eat these foods. I will not be including soup in this list for obvious reasons. Below are the top seven most poplar Enugu food. Okpa, also referred to as king’s meal or lion’s food is a popular Igbo dish of Eastern Nigeria which originated from Enugu. Okpa is made from bambara flour gotten from bambara nut. okpa is very easy to prepare as few ingredients are required and it takes just about 45 to 50 minutes to cook. Okpa which is mostly wrapped in banana leaves or thin white nylon bags can be gotten anywhere in Enugu as vendors sells them in virtually all the joints and parks in the state. Okpa can best be eaten with. Coke, Pap, soaked garri or tea. For visitors who did not get enough in the state capital or forgot to buy, don’t be afraid because you can still buy okpa wawa at 9th mile corner for people traveling to the west or north, Obolo afor for those traveling to the north or Aki na Ukwa in Awgu for people traveling southwards. believe me, your stay in enugu is not complete if you didn’t eat okpa. Abacha, also referred to as African salad is a traditional Igbo meal of eastern Nigeria, abacha which originated from Enugu is made from cassava. Abacha can be served as an appetizer or main meal, it is mostly used to welcome visitor before serving them the main meal. Abacha can be prepared in so many ways depending on the community you visit or the home you visited. No event happens in Enugu without Abacha in the menu. Abacha can be prepared in so many ways and its best served with fresh palm wine. Nkwobi is a much loved delicacy in the eastern part of Nigeria, popular among the people of Enugu, Nkwobi comes in so many varieties as it can be prepared with cow meat, goat meat, stock fish or even chicken. The most popular of all nkwobi is Isi Ewu, (goat head) cow tail nkwobi, cow leg nkwobi or kpomo nkwobi. Nkwobi can be found virtually in every beer palour in Enugu, people mostly don’t prepare Nkwobi at home because it takes a lot of time so they prefer to buy from restaurants and local joints who cooks in large quantity, except in the case where they have many visitor. Nkwobi is best enjoyed with palm wine, beer or any other drink. Agbugbu is a favorite dish for most locals in Enugu and most visitors tend to fall in love with this meal at first taste. Porridge made with yam and a kind of beans- Pigeon peas, a tropical and subtropical perennial legume that belongs to the family of Fabaceae. The meal is easy to make, all you have to do is cook the pigeon peas until they are soft, then gently mash and boil together with the yam and a little bit of water until the yam is cooked. It is usually accompanied with palm oil onion and pepper sauce. Achicha is one of the local food prepared by Enugu people, Achicha which is made of dry cocoyam can be prepared with fresh akidi, or fio fio, achicha can also be prepared alone with just scent leaf. Achicha is loved by both people of Enugu state and visitor’s and mostly prepared by the people of Awgu, Nsukka and Ezeagu of Enugu state. Akidi is a small tiny bean seed which looks reddish or black in color, Akidi is mostly found in the northern part of Igbo land especially in Enugu state. Akidi which is one of the legumes known for it’s high protein content is one of the local food of Enugu people. Akidi can be prepared alone with Ugba and also with yam, or abacha. Ukwa is one of the popular foods eaten by the Igbo people. It is made from fresh breadfruit. The seeds are shelled, washed and cooked with crystal soda (akanwu) and water till it is soft enough for consumption. Ukwa can also be cooked with rice. Everything looks so delicious, but I think, Abacha would be my first choice to try! I am missing Coal city right now. Enugu has food. that looks so delicious but also so unusual . I have eaten some of these food and they are great. I enjoy Igbo food a lot especially ofe oligbo, oha, nkwobi and abacha, even okpa too. i haven’t seen some of those food before but am sure they will taste as good as others. I have never even heard of many of these ingredients, but the colour of some of these dishes is amazing! I have never heard of many of these foods before but they sound absolutely delicious and intriguing!! Wow! All these dishes look mouth watering. It’s great to know about the delicacies from around the world. Hope to try all of them someday. Everything looks so yummy! I would love to try these! So amazing! I didn’t know anything about Nigerian food! Thanks for the cool pictures and detailed description! It’s my first time to see pictures of those dishes. They all look so nutritious. I wanna try them all!